Marcel the monkey from FRIENDS was actually a girl. 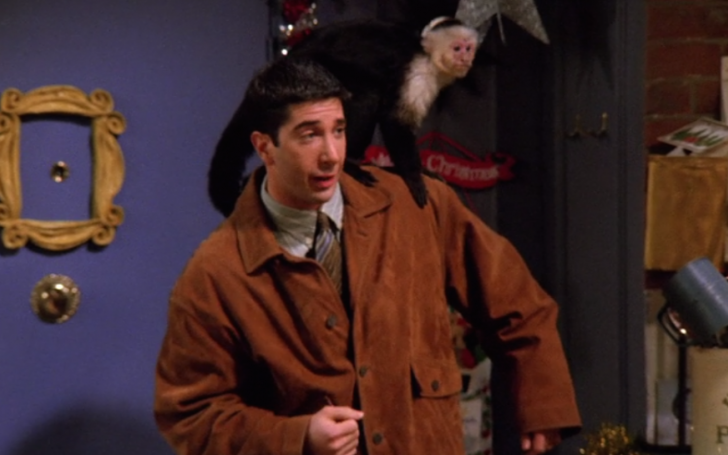 We all remember Marcel the monkey from American Sitcom FRIENDS which Ross Geller loved so much. It turns out the monkey was actually a girl and Ross hated the monkey in real. Speaking to Jimmy Kimmel Live!, Matt LeBlanc revealed Marcel co-star David Schwimmer secretly hated the monkey and Marcel wasn’t a boy at all. Marcel, the adored monkey character by Ross Geller in the sitcom was in real despised by the actor David Schwimmer playing Ross. Marcel continued Marcel in the movie was played by two different primates called Katie and Monkey. According to the reports by the Telegraph, Katie the more active animal actor was used to film the more action-oriented scenes while another primate named Monkey was used for sedate scenes like sitting on the shoulders or sitting down. The Episodes star went on to recall a moment on set when Katie the monkey "disappeared" in the "60 feet" ceiling, forcing him and his co-stars, Schwimmer, Jennifer Aniston, Matthew Perry, Courteney Cox, and Lisa Kudrow, to take a break from the set. "One time so we're shooting a scene with the monkey, the monkey just decides to - you know sound stages are huge the lights are hanging from the grid they go way up on these chains and the ceiling is, you know, like, 60 feet or whatever it is. The monkey just goes right to the ceiling and just disappears up into the blackness and all the actors are like, 'OK, I guess we're on a five I'll see you later! I'll be in my room.' And it took half an hour [to get the monkey down] waving like mealworms." Following their debut from the sitcom FRIENDS, both Katie and Monkey had a successful career in Hollywood and even starred in the likes of 30 Rock. Marcel first appeared on the popular sitcom in the 10th episode of the first season when Ross introduced his new roommate to his friends.